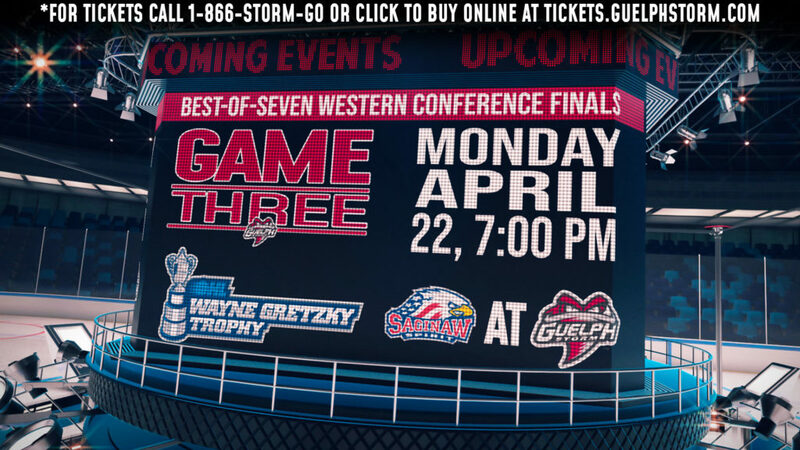 They get the Guelph Storm – a team with a ton of NHL draft picks and world junior talent – in the second round of the playoffs. 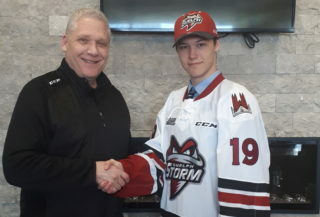 It was pretty much pre-ordained from the moment ex-Knight George Burnett brought Owen Sound captain Nick Suzuki to the Royal City and had him bunk at the same billet house as childhood London buddy Isaac Ratcliffe in January. The native sons are coming home to try to ruin their old favourite team. 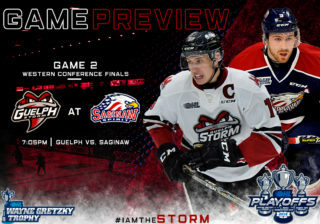 “This could probably be an OHL final,” Suzuki, the Canadiens prospect, said. “Because of where we finished, we get them now. We’re treating every series like we’re playing for our lives. It’s going to be a battle and lots of fun. There are some heartwarming elements to the Storm’s hired-gun approach this season. 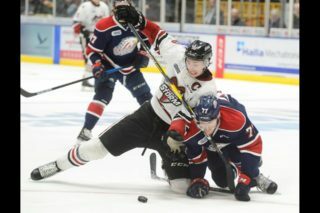 Reuniting Ratcliffe and Suzuki, the former Jr. Knights standouts, is one of them.